Softwood Cable Drums are specified for heavy duty applications. We can manufacture drums from 650mm to 6000mm in diameter. 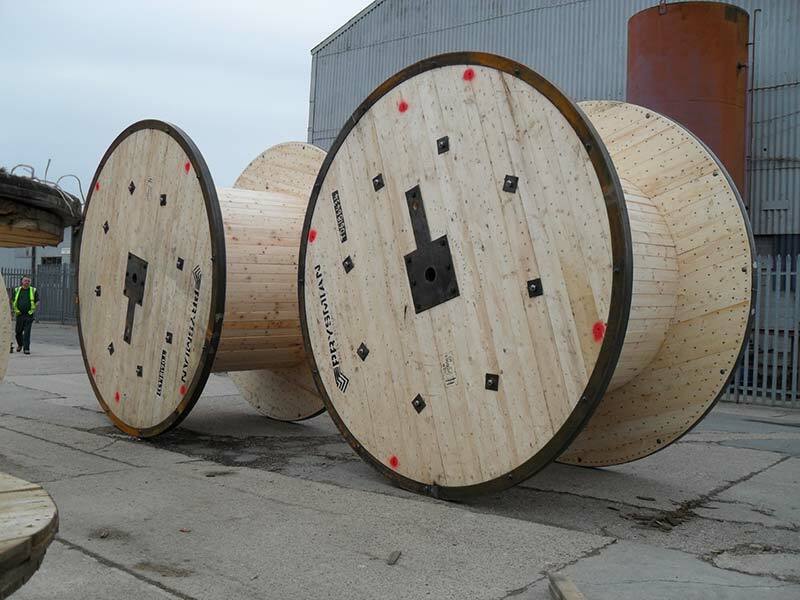 Softwood Cable Drums are usually supplied assembled, however we can also supply them in kit form which is particularly useful for overseas customers where transport costs need to be kept to a minimum. Drums are manufactured using Russian or Scandinavian softwood for flanges and barrels while steel tie-rods and nuts are used to assemble them. The basis of our manufacturing specifications for softwood cable drums is the Ministry of Defence Standard 81-20 / Issue 2 (August 1973). 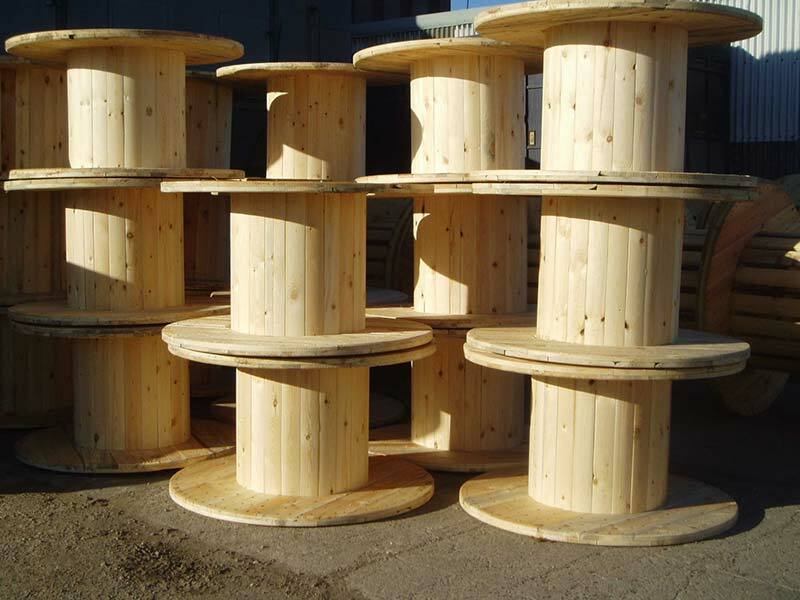 Softwood Cable Drums can be supplied numbered, printed or stencilled with company logo or painted. We will quote to customer drawings and specifications or alternatively our technical team can advise on appropriate sizes and specifications based on individual requirements including triple or quad flanges and ramped drums. Heavy duty softwood drums can be designed and manufactured with steel tyres and heavy weight steel components to carry up to 40 tonnes as an economical alternative to steel drums.